THOUGH THE TAOISEACH has changed his language in relation to the next general election in the last week or so there are now strong indications it will take place in early 2016. Up until last month, Kenny had repeatedly said that the election would take place in 2016 or, being more specific, the spring of 2016. 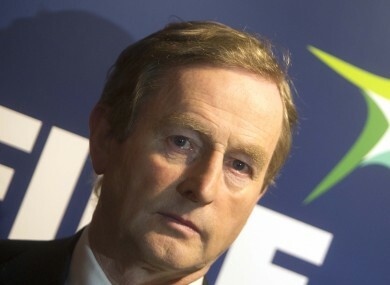 But speaking in the Dáil on 25 March, Kenny said he would not call an election “until it is appropriate to do so”. This prompted some speculation that a vote could yet be held before the year is out. The latest that the current Dáil can be dissolved is 9 March 2016, which means an election must be held around the first week of April 2016. However, there are now strong indications that it could take place earlier than that. Not least because Fine Gael has booked its Ard Fheis in Citywest in Dublin for 22/23 January. Meanwhile, Labour annual conference is pencilled in for the following weekend. It will also be in Dublin as will Sinn Féin’s which is set for the first week of March. This has prompted strong speculation in political circles that in the week after the Ard Fheis Kenny will pay a visit to the Áras and call an election for sometime towards the end of February. In the course of a press conference about health issues last week, Fine Gael minister Leo Varadkar indicated the election could be “in the first couple of months” of next year. Leo Varadkar says he assumes the election will be “in the early part of next year, in the first couple of months of next year”. The theory put forward by Fine Gael figures with knowledge of the situation is that with people feeling the benefit of further tax cuts announced in the October budget in their first pay cheques of the New Year the time will be ripe to call an election. Of course all that could go out the window if events conspire to bring down the coalition beforehand or, if the polls continue to improve and Kenny takes a punt on an early election. Email “Why it looks increasingly like the general election will take place in February 2016”. Feedback on “Why it looks increasingly like the general election will take place in February 2016”.